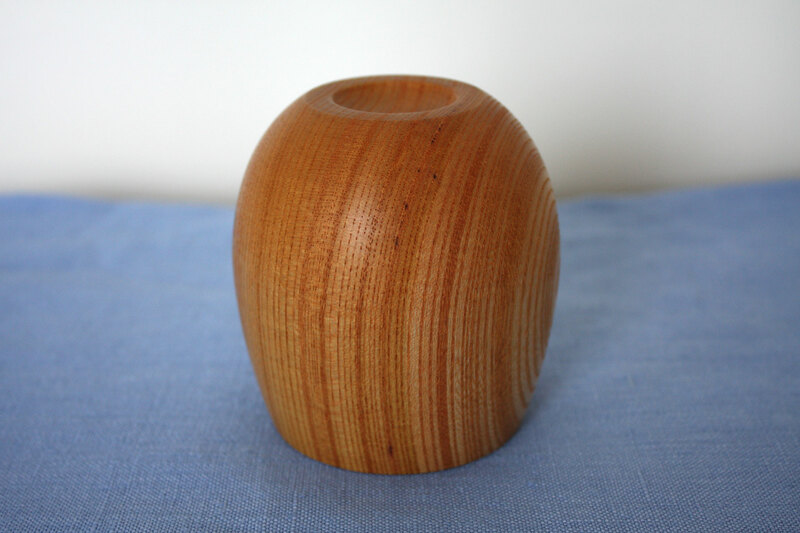 This minimal but graceful design absolutely spices up your table. 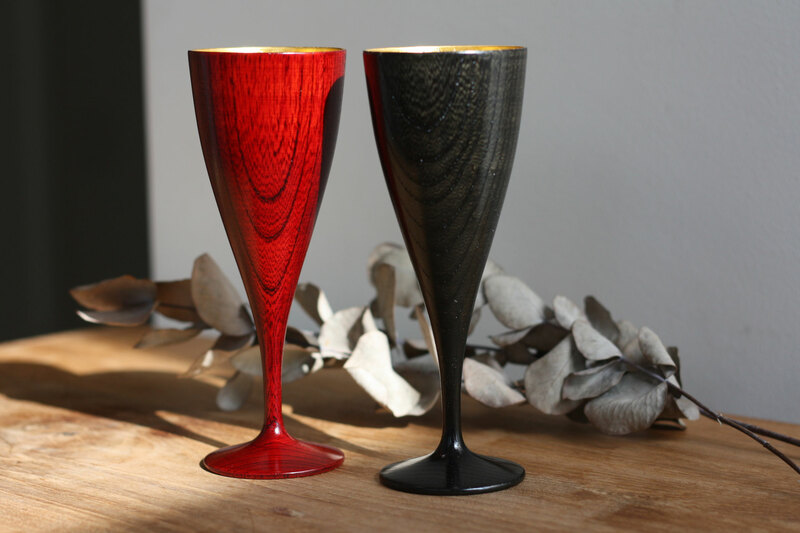 Each cup is individually crafted by a certified traditional craftsman in Yamanaka, Ishikawa prefecture. 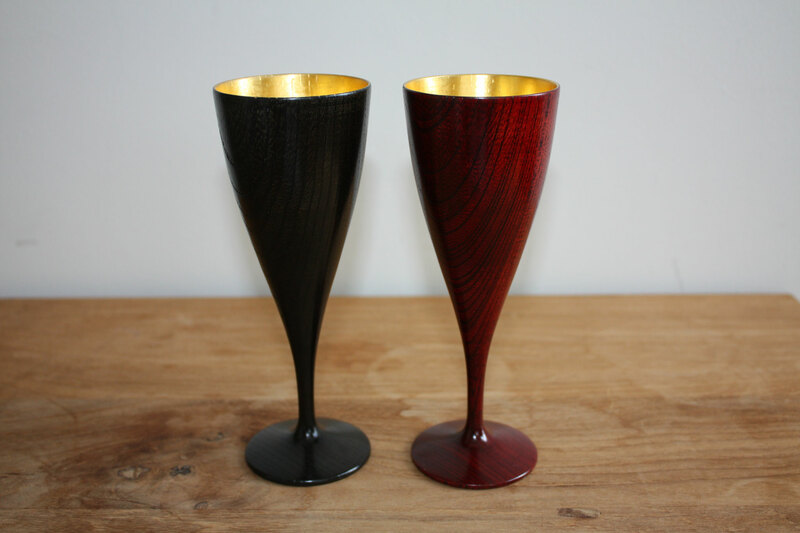 In order to preserve the wooden feature and to maximize the beauty of the wood grain, this cup is applied "nano glass coating" which enables dishwasher safe. This coating has cleared Food Safety Basic Act in Japan, eco-friendly and NO environmental hormones. Because of its durability and water proof, it's pretty easy to care and recommended for daily use. By nurturing with regular usage, it will gradually have depth to its colour. 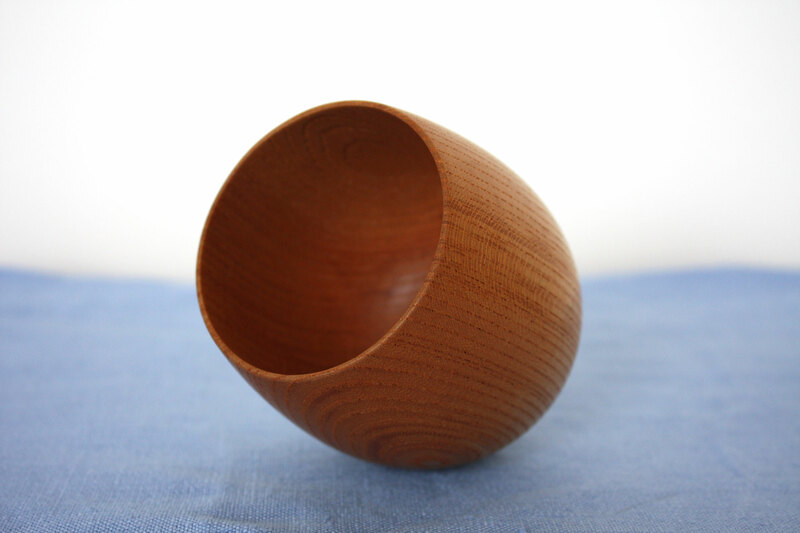 You could admire this full-figured warm cup that fits comfortably in your hand. 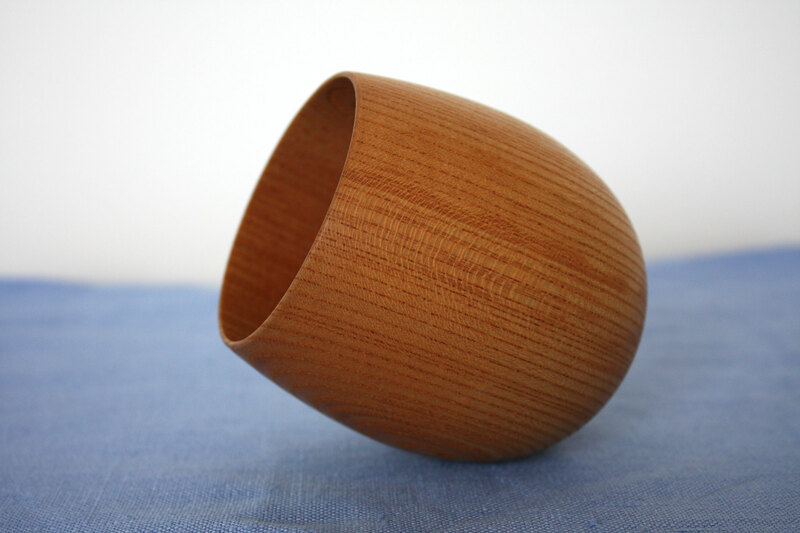 Each cup is individually crafted by a certified traditional craftsman in Yamanaka, Ishikawa prefecture. 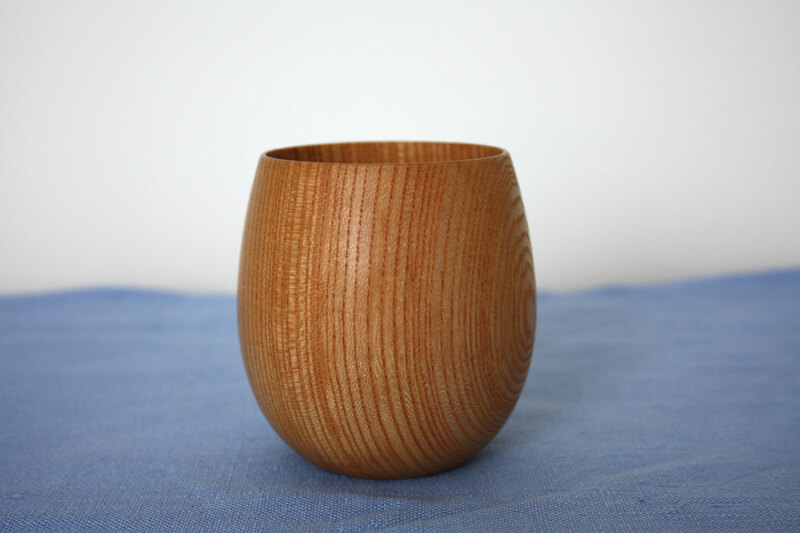 In order to preserve the wooden feature and to maximize the beauty of the wood grain, this cup is applied "nano glass coating" which enables dishwasher safe. This coating has cleared Food Safety Basic Act in Japan, eco-friendly and NO environmental hormones. Because of its durability and water proof, it's pretty easy to care and recommended for daily use. By nurturing with regular usage, it will gradually have depth to its colour. 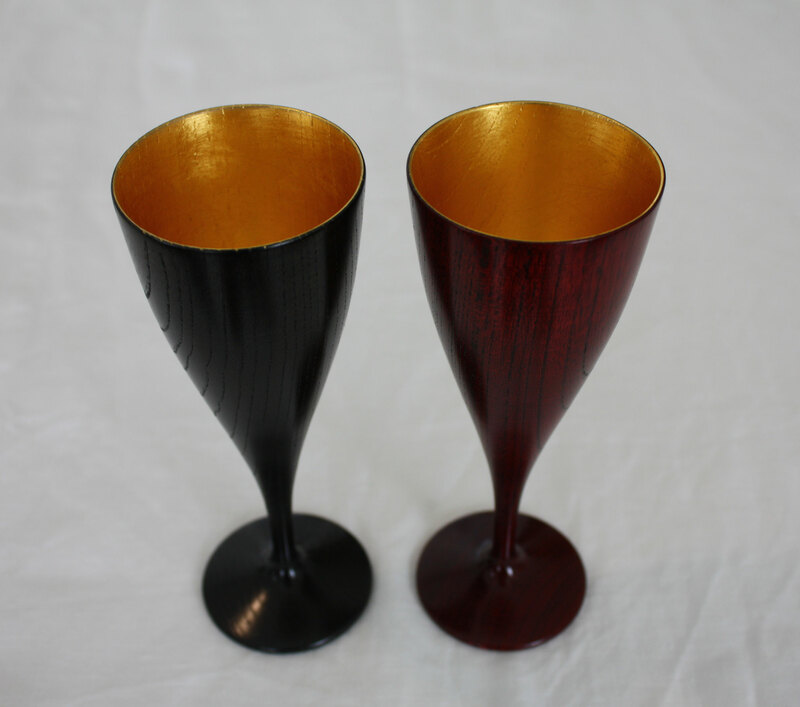 This pair of wine cup is used the method called "Suri-urushi" of applying lacquer and then wiping off repeatedly many times over. These procedures make the wood grain to be visible. A glimpse of gilded inside brightens up your table.